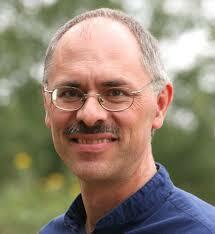 André Gingerich Stoner is director of Holistic Witness for Mennonite Church USA. – a community of love and faith drawn together by a social entrepreneur through hospitality and volleyball. In various usual and unusual ways, these folks had all been called to help plant and nurture Jesus-centered communities. Though very different, we were all deeply rooted, inspired and shaped by an Anabaptist understanding of church. We came from California to Pennsylvania, from Denver to Miami. Most of us had never met. As we shared stories and struggles and encouragement we were inspired and amazed — and deeply grateful to be together and to be connected to each other. Here’s what Josias Hansen said about our time together. He’s from Third Way in St. Paul. This was a foretaste of what we hope for when we gather in New Orleans, March 31-April 2 for Sent 2016. We won’t have superstars. There won’t be a slick production. But we’ll share stories. We’ll hear from elders and youth. We’ll pray together. We’ll encourage each other. We’ll begin to form a national network of Mennonites called to help birth Jesus-centered communities that are salty and yeasty. We have committed significant funds to this gathering to keep registration costs down and are grateful for a Showalter Foundation grant that makes it possible for us to offer hotel rooms at half-price and travel scholarships for those who can use it. Greetings in the name of our Lord Jesus Christ hoping and trusting in the Jesus Name to meet your e.mail. I am passionate about teaching children and families about God’s love and encouraging them to spread that love throughout the world whether it’s through their words or actions. I pray continue to grow in our passion to do God’s work with our Heart, spreading his love to our community, and to the church.